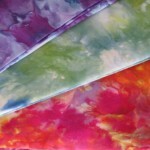 Create one-of-a-kind fabrics using Procion MX Dye. 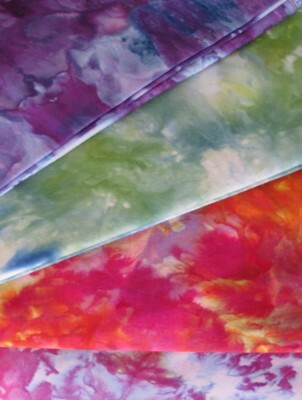 You will be amazed at the beautiful and varied effects achieved by layering fabric and powdered dye, then letting the ice do the work. All supplies provided; wear old clothes since stains and accidents can happen. TWO Sessions are available: each has separate online registration page. This page is to register for the 12-2 PM session. ONLINE registration is open until Thurs., May 5 at noon. Please call 304-258-2300 to register after this this time.